I went to Powai this week for a conference. 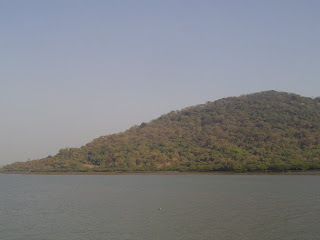 Powai Lake is beautiful, even though this summer, it looks quite shallow. Around the lake, there are several tall buildings. Up close, this is what the buildings look like. I ask you, does any other part of Mumbai look like this? The whole thing seems like a cross between classical-Greek and mad-Bollywood fantasy. And it's a smash hit with the yuppie population. Customers just can't stop buying apartments in Powai! Perhaps there's something about the grandiose style that appeals to the status-conscious Indian? Or maybe it's because Powai is a planned township. When you're in Powai, for a little while, you can forget about the rest of Mumbai, with its crowded streets and slums. Instead, you're in a tall building with a lake view, and guess what honey, there's a KFC here! The architect of this "distinctive Neo-Classical architectural style" is Hafeez Contractor, an interesting man with a slew of awards to his name. Hiranandani, the builder who backed this project, is laughing all the way to the bank and launching identical new projects. Of late, more buildings with this type of architecture have been springing up in other parts of Bombay. In the 1800's, we had Bombay Gothic. In the 1900's Mumbai had art deco buildings. Is the 21st century going to be labelled the Hafeez era? 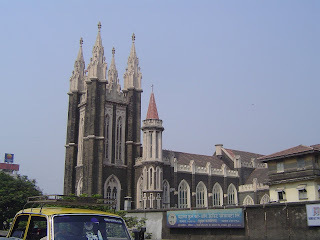 I drive past the Gloria Church at Byculla everyday on my way to work. 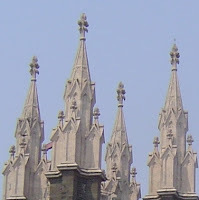 It is an eye-catching building in beautiful grey stone, with tall spires. 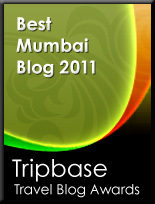 Byculla is an interesting place. It used to be a low-lying area that was flooded by the sea everyday during the high tide. When the Great Breach at Mahalakshmi was closed in 1784, Byculla dried up, and land became available for settling. 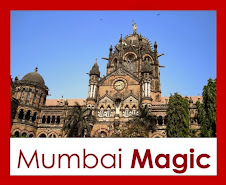 To the east of Byculla lies Mazagaon, one of the original seven islands of Bombay. 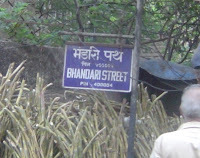 When land at Byculla became available, the European enclave in Mazgaon began to grow westwards into Byculla. In 1911, the old church was destroyed and this new one was built in the prevailing Gothic style. See the tall narrow windows, with pointed arched heads? Those are the typical lancet light windows of Gothic buildings. And these flowery thingies at the apex of the spire's pinnacles, these are called finials, I think. How do I know? Because I looked it up here! 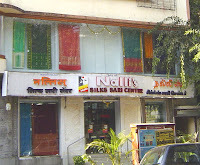 Started in 1981, this shop right in the heart of Matunga is a treasure house of silks and cotton sarees from South India, especially from Tamil Nadu. The proprietor of Nalli's proudly proclaims his lineage from a family of traditional weavers from the temple town of Kanchipuram in Tamil Nadu. Kanchipuram was the capital of the Pallava dynasty from the 6th century AD, and was later the citadel of the powerful Chola kings and the Vijayanagar Rayas. In its heyday, Kanchipuram was a center of culture, seat of learning and one of the holy places that pilgrims flocked to. 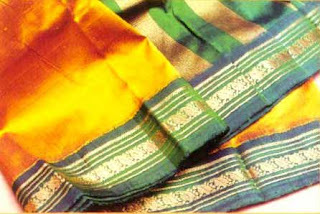 75% of Kanchipuram’s population depends on the silk saree industry. Yet, the city does not manufacture silk, or indeed, any of the raw materials that go into silk making. 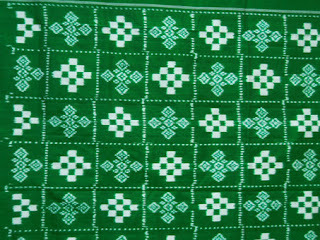 Kanchi specializes only in handloom weaving. Weaving is a cottage industry, and the skills are handed down from one generation to the next. It is fascinating to see silk go through various stages - sorting, starching, dyeing and weaving - before the final finished product emerges. The durability of Kanchipuram silk comes from the fact that it is made of twisted silk yarn - three yarns twisted together into one. 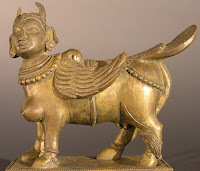 This is also what gives Kanchi silk its sheen. 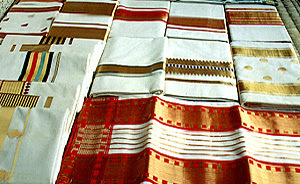 Although Nalli's main procurement centre is Kanchi, they also stock crepe sarees from Mysore in Karnataka, Pochampallis from Andhra Pradesh and Kasavu sarees from Kerala. A visit to the shop shows that patrons include not just South Indians but also Gujaratis, Punjabis and others, including foreigners. Recently, the shop has been extended to cover 2500 square feet on the first floor, with a colourful display of zari embroidered saris with intricate designs. I found this advertisement in the 'Matrimonials' column of the newspaper. It was sandwiched between a section containing matrimonial adverts for Saraswat Brahmins, and another for 'Scheduled castes/ Scheduled tribes'. "Oh boy," I said to my husband, "so now AIDS has become so mainstream, we're starting to seeing it in the marriage adverts". I noticed also, that because of the HIV+ factor, the two ads didn't have the usual caste/sub-caste specifications that appear in other ads. In the first advert as long as the bride was under 40, the guy was pretty much ok to consider the alliance. The other advert was from a Jain family, and they were happy to consider people from other religions, as long as the bride was vegetarian. And, er, beautiful. 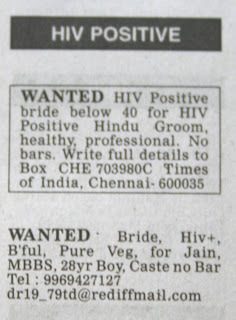 I didn't see any advertisments for HIV+ grooms. What do you think of that? 'What are the major races in India? ', my visitor asked. I was stumped. I knew about India's many religions, languages, castes and sub-castes, but races? I wasn't sure. I mumbled something about the Aryans in North India, Dravidians in the South and the Mongloid people of Eastern India, but I felt like a fool for not being more specific. So I looked it up, and here is what I found. First, there is a difference between 'race' and 'ethnic group'. Race is used to denote people that share common physical and genetic traits. Whereas ethnic group denotes people who have common cultural, behavioural, linguistic, ritualistic, or religious traits. 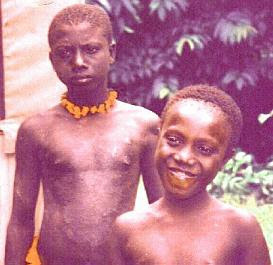 Negritos: These broadheaded people from Africa were the earliest to inhabit India. They can still be found in the Andamans, and among hill tribes in South India like the Irulas, Kodars, Paniyans and Kurumbas. Pro-Australoids or Austrics: This group was the next to come to Ind ia after the Negritos. They are a brown race of people with wavy hair, spread over the whole of India, Burma and the islands of South East Asia. They are said to "form the bedrock of the people". They cultivated rice and vegetables and made sugar from sugarcane. 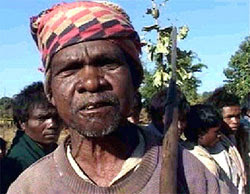 Their language has survived in the Kol or Munda (Mundari) in Eastern and Central India. The next group is Mediterranean or Dravidian: This group came to India from the Southwest Asia and appear to be people of the s ame stock as the peoples of Asia Minor and Crete and the pre-Hellenic Aegeans of Greece. 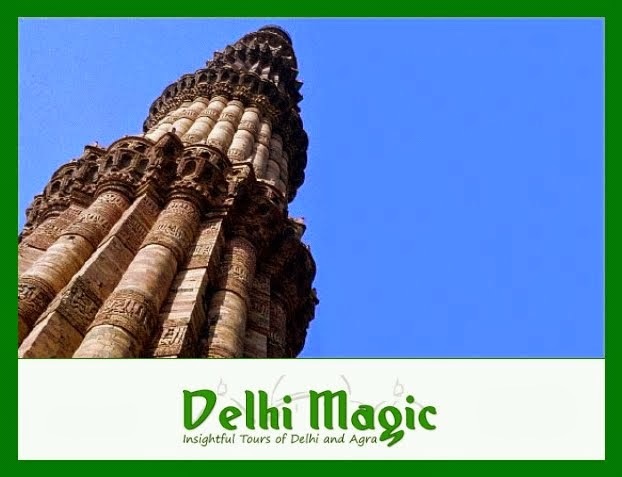 They are said to have built the city civilization of the Indus Valley, whose remains have been found at Mohenjodaro and Harappa and other Indus cities. The Dravidians spread to the whole of India, supplanting Austrics and Negritos alike. Dravidians comprise three sub-types, Paleo-Mediterranean, the true Mediterranean and Oriental Mediterranean. Nordics: Nordics or Indo-Aryans are the last immigrants into India. Nordic Aryans were a bran ch of Indo-Iranians, who had originally left their homes in Central Asia, some 5000 years ago, and had settled in Mesopotamia for some centuries. 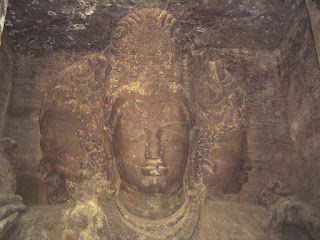 The Aryans must have come into India between 2000 and 1500 B.C. Their first home in India was western and northern Punjab, from where they spread to the Valley of the Ganga and beyond. These tribes are now mainly found in the Northwest and the Northwest Frontier Province. And then there's one last small group - the Western Brachycephals. These include the Alpinoids, Dinaries and Armenois. The Coorgis and Parsis fall into this category. So there it is. An entire smorgasboard of skin colour, height, hair and facial features. That's what India is made up of. And it is further complicated by a lot of intermingling and intermarriage. There is a lot of debate around racial classification in India, especially around the Aryan-Dravidian classification. Studies have proved that there is no genetic basis for differentiating between fair-skinned Aryans and dark-skinned Dravidians. Very sensibly, the Census of India has dropped the concept of race, preferring instead to focus on ethnic groups, which are identifiable by language and culture. Racial classification, which was essentially a colonial construct, has thankfully disappeared from official publications. But I'm glad I looked up this stuff. The next time someone asks me about the races of India, at least I'll know what to say. Acknowledgement: The information for this post came from here and here. Updated in 2015: There is a gene study in 2013, which has found that all populations in India are a genetic mixture of two ancestral groups: Ancestral North Indians (ANI) and Ancestral South Indians (ASI). 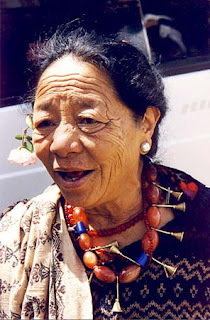 The ANI are outsiders (they are related to Central Asians, Middle Easterners, Caucasians, and Europeans) and the ASI are primarily from within the subcontinent. The Study was published by scientists from Harvard Medical School and the CSIR-Centre for Cellular and Molecular Biology in Hyderabad, India. This study effectively debunks all previously held concepts of racial differences among Indians. According to this study around 4200 years ago, there may have been groups in India which were purely ANI and those which were purely ASI. But they began mixing, and by 1900 years ago, there were no groups which were purely ANI or ASI. For the past 1900 years, we have been a mixed genetic stock of people. We were on a walk in the area near Chor Bazaar when a very heavy handcart stopped because of the traffic. When the traffic lights turned green, the load pullers simply couldn't get the cart going again. My guests that day for the walk were a group of expats, living in Bombay. On an impulse, one of them dashed into the middle of the street to give the cart a helping hand. The man at the back of the cart welcomed the added muscle power, and in a couple of minutes, the cart got moving again. My guest returned, grinning, dusting his palms. I couldn't help grinning back. You can choose to get into the heart of a country, or you can choose to be an observer. Whatever floats your boat. The streets are there, the people are there, the experiences are there as well, waiting. What you get from them is your choice. Insider or outsider, what do you want to be? And this is not just about foreign visitors to India. This is true for locals as well. Take me, for instance. For me, walking in this area is always difficult, given my vegetarian Brahmin upbringing. I'm simply not used to meat. Here, everywhere, there is meat - on the hoof, being stirred, roasted, spitted, or tandoored. It has taken me a bit to get used to it. But as I do this walk more and more often, I find myself getting comfortable with it. I don't think I will ever eat meat. So this walk is not about changing myself. This walk is all about acceptance. What this walk does for me, is that it makes me understand in a simple practical way that everyone is not the same. There are different ways of life, and many of them are nothing like the little things that my little community or tribe or religion does. It is quite an eye-opener. I always have fun explaining the 'sacred cow' thing to overseas visitors. As part of the Bhuleshwar bazaar walk, we take several overseas visitors to the temple of Mumbadevi, Bombay's patron goddess. The temple has two cows, in a makeshift cowshed. 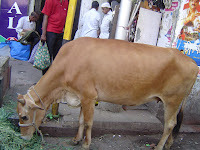 For two rupees, you can buy grass to feed the cows. The last time I was there, one cow peed. A man came rushing out from the interior somewhere, with an empty plastic bottle, and he collected the urine. My guests were pretty flabbergasted. They'd heard of the sacred cow, but, er, did that extend to urine? "What's he going to do with it, Deepa? ", one of them asked. I launched into my usual explanation of pancha-gavya, the five sacred products of the cow, and all the beliefs around the cow. My audience's eyes grew rounder and rounder as I went on. "You mean they *eat* this panchathing?" "It's used in Ayurveda as medicine" I said. "And it's also used as a natural fertiliser." 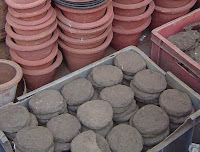 One of them turned around and asked me rather hesitantly, "Umm, do they run out and collect cow dung like that as well?" I couldn't help laughing. I could see what he was imagining - a man waiting with cupped hands, perhaps, as the cow did its excretory thing. I had to explain that while cow urine had to be collected in transit, cow dung was definitely collected post landing. I tell you, tourism is great fun sometimes! But honestly, if you look at it a little seriously, cows are an administrator's nightmare. According to Ian Copland, a researcher with Monash University, and author of 'What to do about cows? ', there were fifteen serious cow-related communal riots in British administered North India between 1883 and 1891. In 1893 a series of cow riots hit the cities of Bombay and Rangoon, the districts of Azamgarh, Ballia and Ghazipur in the United Provinces, and the princely state of Junagadh. In 1909 the killing of a cow triggered a major riot outside of Calcutta. Further cow riots followed in succeeding years - the most serious of which was a riot in 1917 in the Shahabad district of Bihar, where 150 villages were looted and burned. Post-independence India has also seen a series of cow-related riots - in 1949 there were riots in Secunderabad over a tonga suspected of carrying beef in a Hindu area. As recently as 2003, there were riots in Ganj Basoda, a tiny town in Madhya Pradesh, over the alleged slaughter of a cow by a rickshaw-puller. All this mess over an animal? Ah, but this is not just another animal! This is Kamadhenu, cow-mother, divine benefactress, provider of milk and sustenance, she-whose-udders-never-run-dry, she-whose-urine-is-pure. And she has the Gods on her side. "O noble folk, protect the cow, for Brahma is in her back, Vishnu in her throat, Shiva is established on her face...the Sun and Moon are in her eyes..." says a poster published by the Nagpur Cow Protection league in 1860. It's an amusing poster, if you're not religiously inclined. Take a look. There's a seriously demonic looking guy with armpit hair and the face of a wolf, waving a sword over a cow. In front of him is this totally pious looking Hindu trying to stop the killing. And if you still don't get the message, there's a milkman at the bottom of the poster, selling milk to a bunch of people, all from communities that have no taboos against beef - you can see a Parsi in characteristic black topi, an Englishman in a top hat and a Mussalman squatting in traditional robes. This is go-mata, cow-mother, the poster says to the beef-eater. She feeds everyone, including you. One of the things I love about Mumbai is its unique skyline. 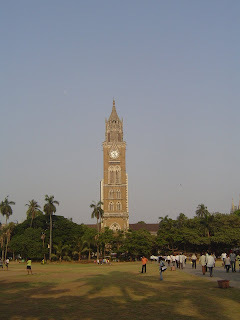 The palm trees and the sunshine combine with the Gothic architecture to give the Oval Maidan a sort of exotic holiday feel. These buildings have been part of my childhood, and I feel a sense of belonging when I look at them. Looking at the University clock tower, I feel its grandeur and poise almost immediately. There is a sense of deep calm, that transports me instantly to an older era. I am reminded of my grandfather and his black-and-white photo collection.